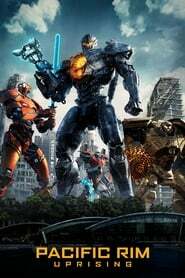 Pacific Rim: Uprising (2018) BluRay 480p, 720p Jake Pentecost, son of Stacker Pentecost, reunites with Mako Mori to lead a new generation of Jaeger pilots, including rival Lambert and 15-year-old hacker Amara, against a new Kaiju threat. Batman & Robin (1997) Bluray 480p, 720p Batman and Robin try to keep their relationship together even as they must stop Mr. Freeze and Poison Ivy from freezing Gotham City. The Fourth Kind (2009) BluRay 480p, 720p A thriller involving an ongoing unsolved mystery in Alaska, where one town has seen an extraordinary number of unexplained disappearances during the past 40 years and there are accusations of a federal cover up.